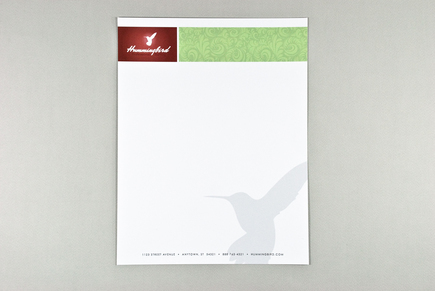 This letterhead is perfect for any general business or professional use. It showcases a staffing agency seeking to help workers find open jobs, but could represent many types of professional industries. The serious color palette and light background adornment convey an image of a professional company.